FGS - Mission, Vision and Values. 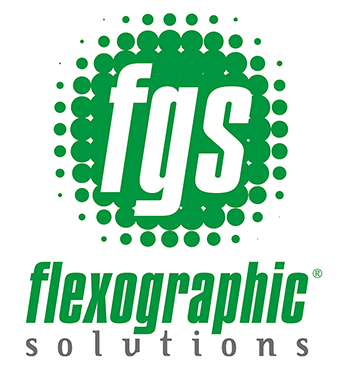 Provide technological and integral solutions in engraving in flexography and related services, offering quality, speed and safety in the production, transportation and delivery of our products to printers and final customers. To be a reference company in the market of the European Union and South America in the flexographic engraving and related services to this, for the use of the best technology, the constant innovation, the high quality of the products and services rendered, that counts on a team Of work that satisfies the needs of our clients and allows us to reach the complete confidence of these, in such a way that these elements constitute a unique and differentiating added value. - Quality. We are concerned that all our products and services are endowed with the highest quality, establishing controls and management processes to ensure that they meet the most demanding technical standards. - Innovation. We have the vocation to offer our clients, products and services that incorporate materials, techniques and / or methods that allow them to obtain new and better in their work. Adding innovation to our products and services we collaborate in adding value to our customers. - Honesty. We relate to our stakeholders through sincere and coherent action, understanding that the interests of those with whom we relate, without relegating our own, is the best way to achieve our corporate objectives. - Responsibility. We are committed to carry out our work on time and with the quality our clients need, always under the respect and compliance with the rules and regulations that regulate our activity. This effort allows to obtain credibility and respect on the part of the clients. - Teamwork. All the people who make up the different departments of the company are committed to working towards a common goal. Sharing responsibilities together helps people become more involved. - Spirit of service. We want to solve the needs of our clients, knowing how to listen, exceeding expectations and giving answers in what allows our client to feel part of our project. - Continuous improvement. We want to do better every time. We look for the mechanisms that assure us the trust of our clients. We want to be the preferred option based on the improvement of the results, the efficiency of the processes and the quality of the final product.